Bewitched is easy to play as it has the standard layout of five reels and three rows. The slot does have standard symbols, but they have all been slightly altered, so you won't be annoyed by their presence. Before you start spinning, you should make sure to configure the number of active pay lines. You can choose from playing with 1, 5, 10 or 15 active pay lines. The maximum number of 15 active pay lines is the most attractive as it approaches the regular number of pay lines on other slots like these the most. Bewitched also has a wild symbol -an owl- which will help you form winning combinations. This wild symbol does this by being able to substitute for any symbol except for the scatter of the bonus. Additionally, you will want to pay attention to the group of witches. When you first open the game, you will be asked to select one of the shown witches. This choice proves important later on in the game. 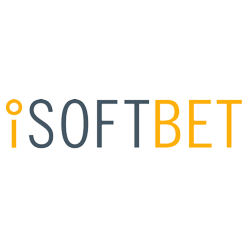 Bewitched is a slot by software developer iSoftbet and revolves entirely around magic, as the name probably already away. It actually is a very standard slot, but this won’t become an issue because of the many interesting extra features it has. Another thing that contributes to the success of this slot is the progressive jackpot. At the top of the screen, you can see what the current value of the jackpot is. In order to win this jackpot, you need to be really lucky, or you need to be really good with the wizard’s magical drinks. Bewitched is easy to play as it has the standard layout of five reels and three rows. The slot does have standard symbols, but they have all been slightly altered, so you won’t be annoyed by their presence. Before you start spinning, you should make sure to configure the number of active pay lines. You can choose from playing with 1, 5, 10 or 15 active pay lines. The maximum number of 15 active pay lines is the most attractive as it approaches the regular number of pay lines on other slots like these the most. Bewitched also has a wild symbol -an owl- which will help you form winning combinations. This wild symbol does this by being able to substitute for any symbol except for the scatter of the bonus. Additionally, you will want to pay attention to the group of witches. When you first open the game, you will be asked to select one of the shown witches. This choice proves important later on in the game. Bewitched has a particularly interesting bonus game. That is, during this bonus game you can win the progressive jackpot. It actually is a simple bonus game which is slightly altered in order to fit the overall theme. Here, you will see the wizard and you have to select the magical brews for him to use. With this, you can get big wins, but you could also win the jackpot. The height of the jackpot is displayed at the top of the slot. You will see that the height of this jackpot rises steadily. During free spins, it becomes important which witch you selected when opening the game. Namely, the two witches will fight and if your witch wins, your wins will be significantly higher than they would have been if your witch lost. When two scatters land on your reels, you get six free spins. For three scatter you get nine, for four you get 15, and for five scatters you get even more. Try to win as much as possible and beat the other witch to maximize your winnings! Bewitched has 15 pay lines and you determine how many of them you want active. If you prefer a clear overview, you can, thus, decide to play with fewer active pay lines. The emphasis of this game is on its features. The free spins are fun and complete, but the real big bang can only be obtained through the bonus game. Namely, you can win the progressive jackpot during the bonus game. There also is an auto-play function which you can only turn on and off. This auto-play function really comes in handy when you really want to go for free spins and the bonus game.